I was so very happy to be able to join my “daughter” for her wedding a few weeks ago. As the daughter of one of my very dear friends, our children grew up together and I see her as one of the daughters that I never had. Now at 21, she is wed and starting a new chapter of her life with her new husband, Jack. 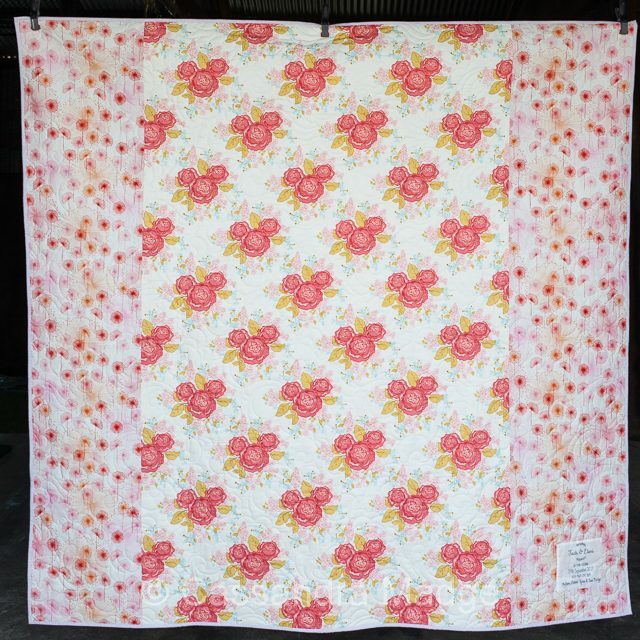 Of course, what’s a wedding without a quilt? I had to pull one out of my cupboard that was pieced and only needed quilting due to short notice, but I thought this one fitted her beautifully and wasn’t TOO girly for Jack. On this Instagram post from December last year, you can see how it all started with the first 8 blocks. 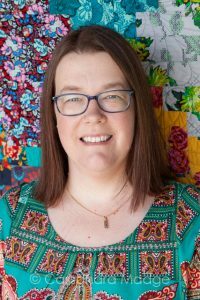 The design is a Keera Job Live.Love.Sew pattern Wild Goose Chase, and the fabric is Riley Blake Designs, Desert Bloom by Amanda Herring Designs. 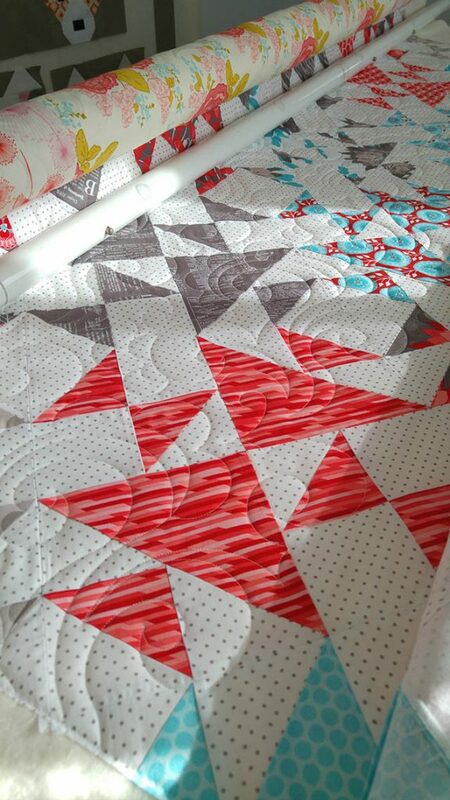 Here it is, mid-quilt. I love the late afternoon light in my studio. It’s just perfect for side-lighting and showing off the rich texture created by the quilting design. And the finished quilt, bound, labelled and off to the wedding the afternoon this photo was taken!! 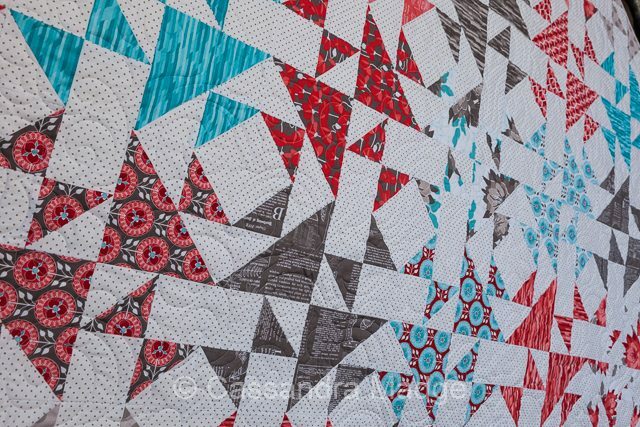 I added in some Riley Blake Basic dots to pad out the fat quarter bundle that I was using, you can see them in the partial blocks around the edges and corners. 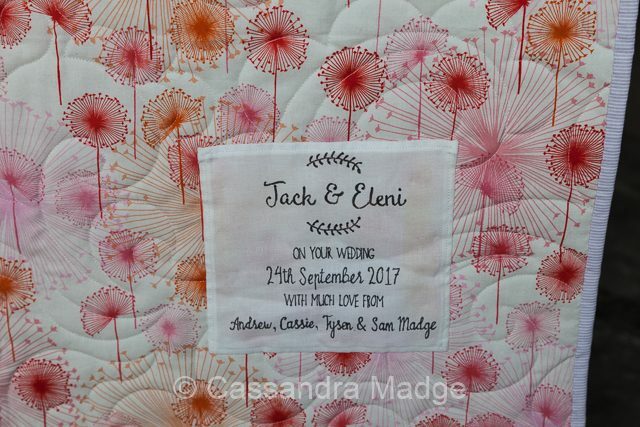 The blenders and text prints that Amanda designed to work with her feature floral are just fabulous. I haven’t seen anything quite similar, especially the broken tonal stripe print. 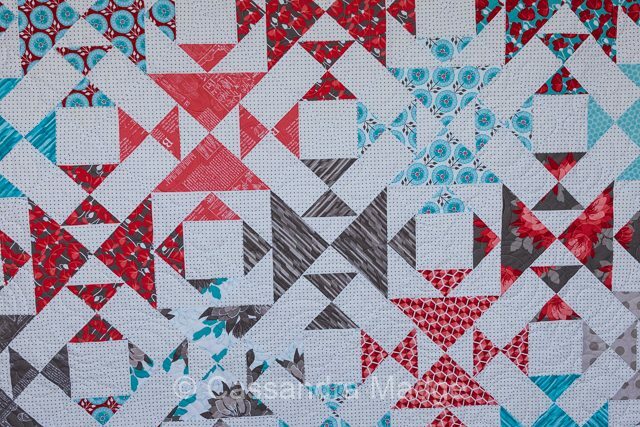 I did limit my use of the floral print simply because I am always cautious when using a white background print pieced into a primarily white quilt – you tend to lose the shape of the pieces and only the fragments of print stand out. You can see that in the aqua in the bottom of the first photo above. 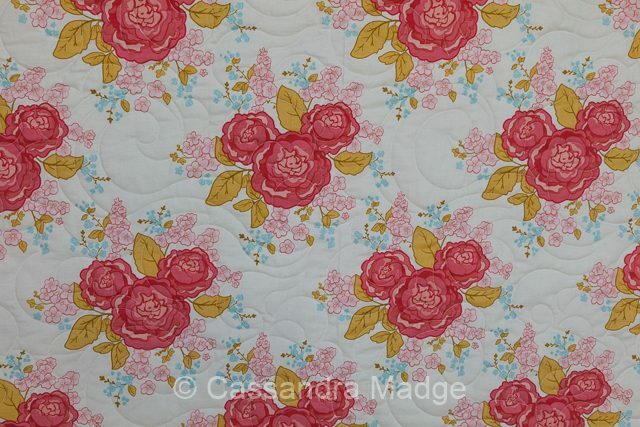 The back was a combination of prints, this bold floral which picked up most of the colours of the front of the quilt, as well as a very old length that I had in my stash from when I first started quilting. I am so glad that I saved it for this project as I think it’s got the perfect home. As a hint, always shop for yardage in end of bolt sales, I’ve gotten some amazing quilting fabric for less than half price this way, and my backs have never looked better! 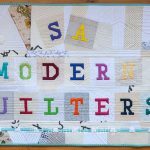 Of course, it’s not a finished quilt without a LABEL!! 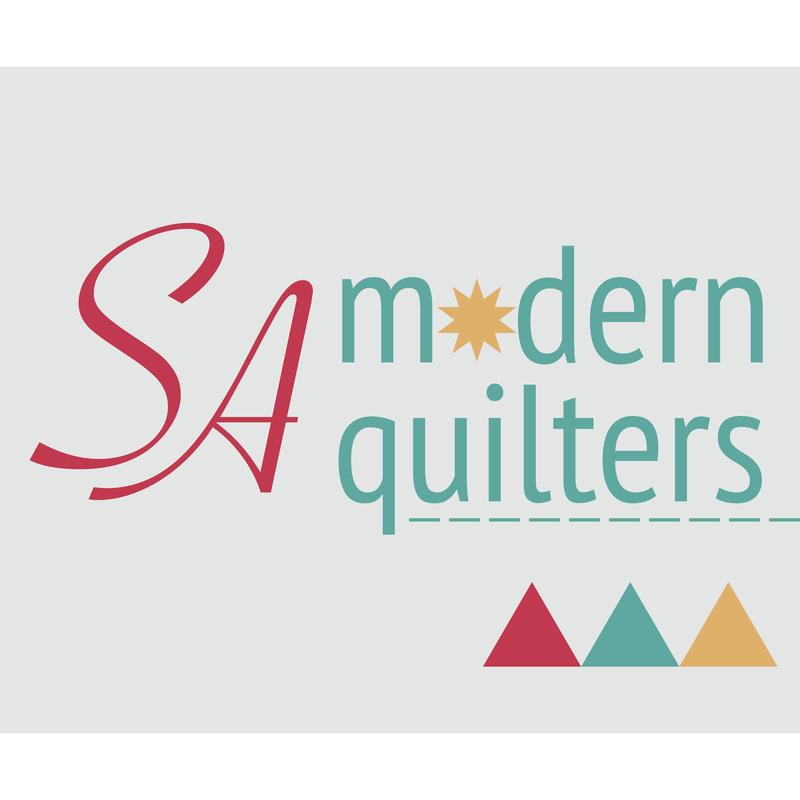 If you haven’t seen it before, make sure you check out my TUTORIAL on making quick and easy quilt labels. I think I finished this label, including stitching it on, within an hour using that technique. I know that Eleni will always treasure this quilt, but having a written confirmation of the reason and date, as well as a record of our family, makes it that much more memorable. 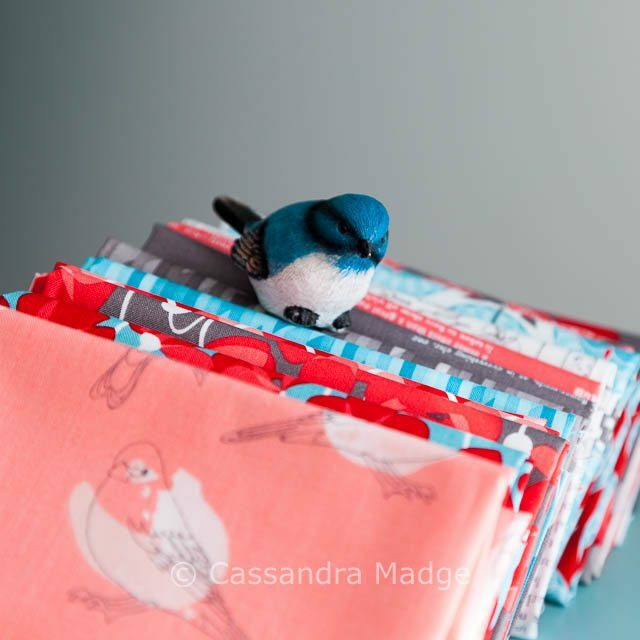 You can see a glimpse of the binding fabric I chose here in the label photo too – another Riley Blake print, this time from Sue Daley’s Bittersweet line. 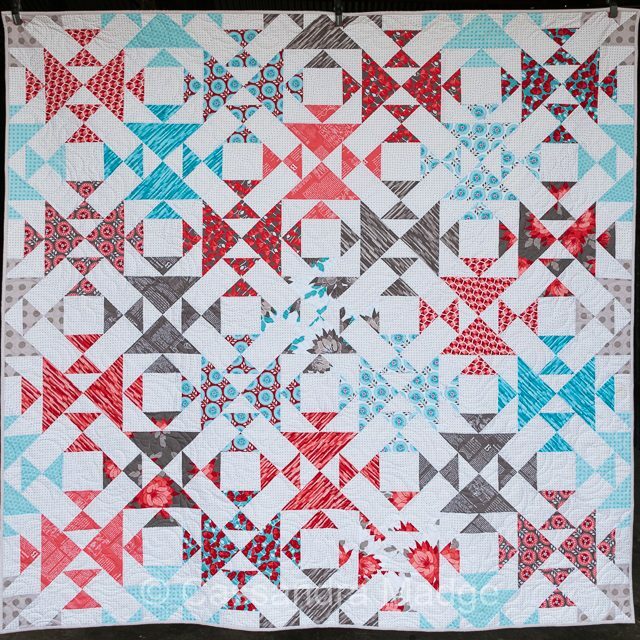 The soft grey finishes off the quilt beautifully without being too bold or overpowering the focus of the prints and design. 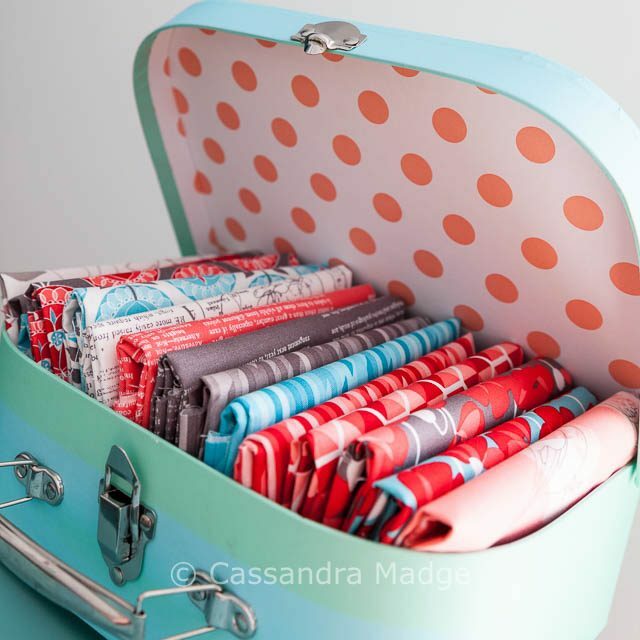 What was the last quilt you gifted? 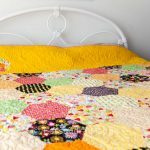 Fresh Market Pineapple quilt – hex-a-licious! 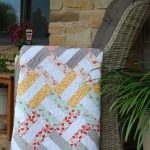 Basket Weave – free quilt pattern from Live.Love.Sew!